The Fermat Machinery company has been manufacturing high-precision CNC cylindrical grinding machines since 2007. It mainly serves the markets in Germany, Italy, Switzerland and the USA, with approximately thirty machines manufactured and sold every year. The high quality of Fermat’s machines and the premium services they are able to offer are owed to the company’s state-of-the-art facilities, in particular its vast manufacturing hall featuring modern precision manufacturing machines such as gantry milling machines, boring machines, guiding surface grinders, and more. The company produces all the basic mechanical components for its machines entirely in-house. Purchased components come exclusively from renowned global manufacturers. The overall quality of products and services is ensured by an in-house design department, a broad sales network and a professional service department. BUB E 50/1000 CNC universal cylindrical grinder with a new control system developed in partnership with B&R. 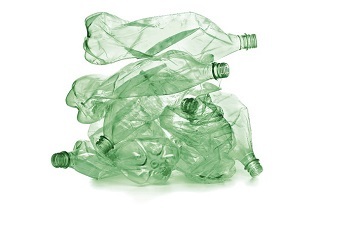 PET plastic bottles are the most common form of beverage packaging. The versatile thermoplastic is perfectly suited for bottle-to-bottle recycling but can also be used to make film for food packaging. This is the specialty of Starlinger visotec, who develops high-end machines for just this purpose. The entire control solution for these machines comes from B&R. After all, premium machines call for premium automation. The robots responsible for removing finished parts from injection molding machines have a very clear objective: to remove the part as quickly as possible in order to maximize the machine's productivity. 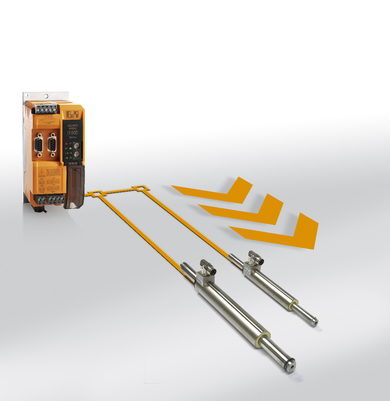 The high speed of these movements makes it especially challenging to achieve the necessary levels of positioning precision, stability and operator safety. 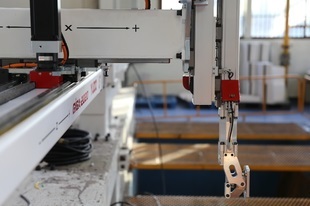 YUDO-SUNS, a leading Korean producer of auxiliary equipment for injection molding machines, has solved these challenges for its high-speed robots using advanced motion control technology from B&R. The trend is clear: A growing number of customers in the industrial and trade sectors are looking to equip their production halls and shops with custom-tailored solutions. Boundaries that once separated the worlds of series-produced and special-purpose machinery are fading. In response, machine manufacturers are finding ways to respond more quickly and efficiently to customer requests and market trends. Germany's special-purpose machinery industry has already demonstrated how this can be done: through modularization. The tendency, however, has been to divide a machine into a set of mechanically interchangeable modules and leave it at that. So while the mechanical engineers are free to focus on new features and added value, large portions of the electrical and software solutions are sent back to the drawing board every time a new machine is designed. In light of the rapidly growing role of electronics and the corresponding multitude of machine variants, this is an untenable approach for machine manufacturers over the long term. Recognizing this, ELB-Schliff struck a new course with its flagship Smartline grinder – taking the series to a new level of modularization with fully integrated automation from B&R. The complexity of industrial automation tasks is continually increasing, leading to the development of more and more distributed control concepts. 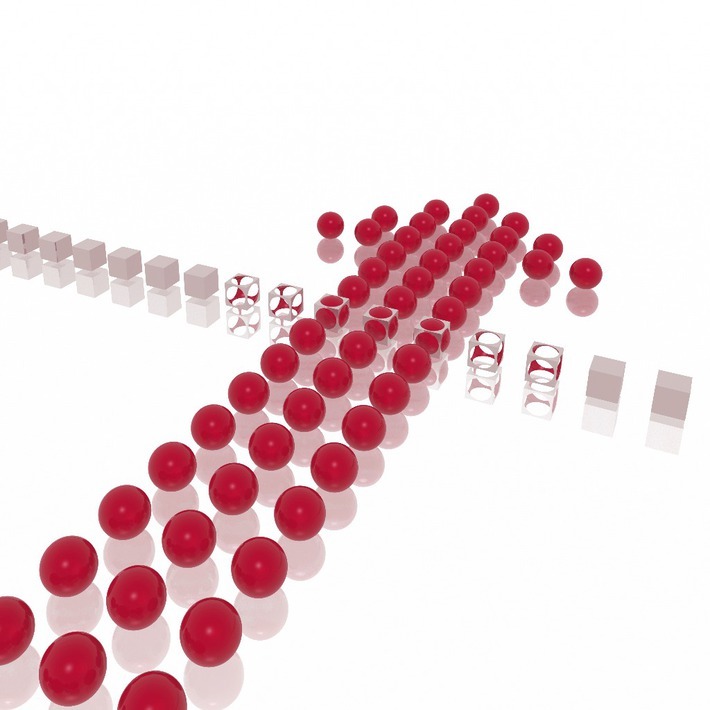 These approaches allow for more individual, flexible and modularly structured automation technology as intelligent peripheral devices connected over industrial Ethernet become increasingly prevalent. It is becoming more common, for example, for individual machine parts or components to be equipped with their own controllers and grouped together to make up a completed machine. When the owners of the historic Kursaal complex in Bern, Switzerland, decided to undertake an ambitious modernization project in 2012, they put a great deal of thought into every detail. Among the upgrades to the Arena conference hall, for example, was a modular stage, adaptable in both shape and size. It features a state-of-the-art technical infrastructure that gives event organizers an enormous amount of design freedom. 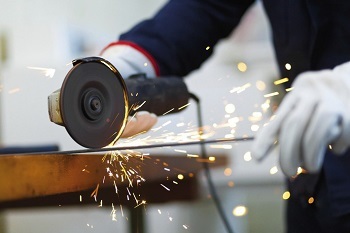 Thermal cutting technologies – including oxygen, plasma and laser cutting – are used to prepare materials in many fields of engineering. Each technology is unique and irreplaceable, and they often overlap and complement each other. The quality of cut parts is judged by their dimensional accuracy, the correctness of their edge angles and the structure of the cut itself. 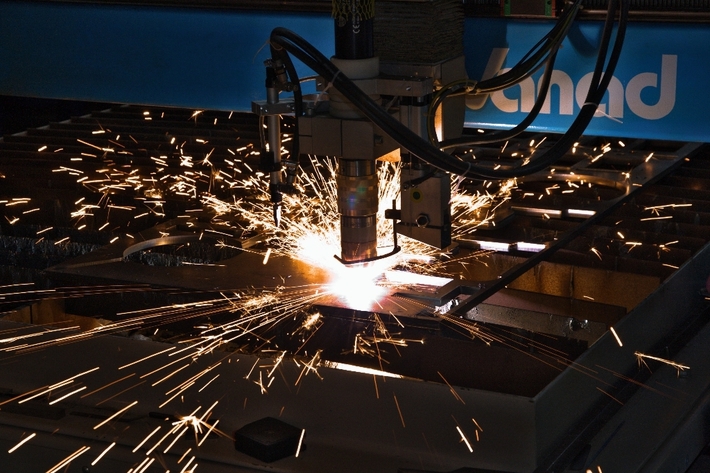 With over forty years of experience in the field of thermal cutting, Vanad machines achieve exceptional quality by offering versatile cutting technologies with an extremely robust design, high-precision guiding mechanisms, precision gearboxes and a state-of-the-art control system developed in cooperation with B&R. It is becoming harder and harder for pneumatic systems to compete with much more efficient tubular linear motors. In applications with frequent, short linear movements, these motors reduce energy consumption and CO2 emissions by over 90%. NTI and B&R are paving the way for a smoother transition to this more sustainable drive technology. The LinMot linear motors sold by Swiss manufacturer NTI can be controlled directly using ACOPOS servo drives from B&R. 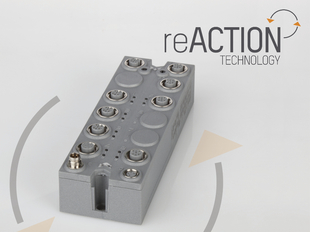 With reACTION technology, B&R is able to reduce cycle times in industrial automation down to 1 µs. This new approach allows extremely time-critical subprocesses to be managed using standard hardware – all within the requirements of IEC 61131 – while cutting costs by reducing the load on the controller and optimizing performance to match demands. The result is an immense increase in performance without added costs. The fastest response times achieved in the field – from receiving the input signal to sending the output signal, have seldom been under 100 µs – until now.